By 1935 Lakotas involved in shows dressed specifically for performance. When the Little Elks posed for this souvenir postcard, they wore clothing influenced by tradition but much more extravagant. 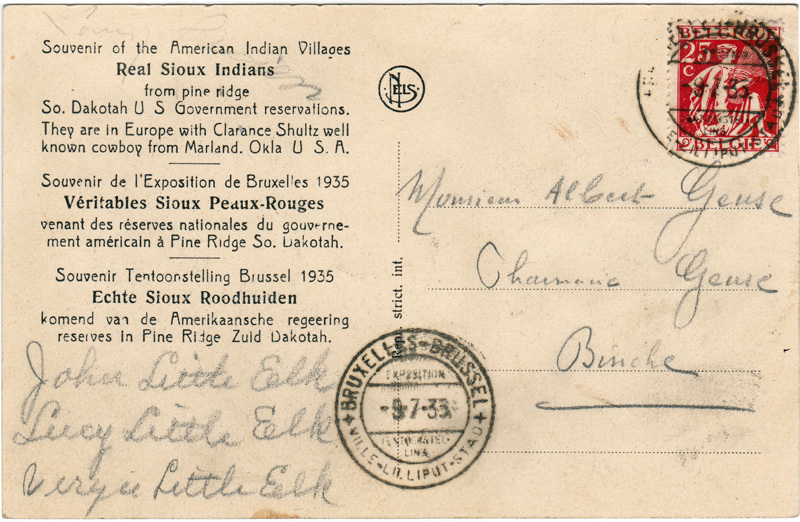 The reverse side of the souvenir postcard has the family members' names handwritten on it and a postmark showing that it was sent from a postal station at the Brussels exposition.